PAM: Welcome! 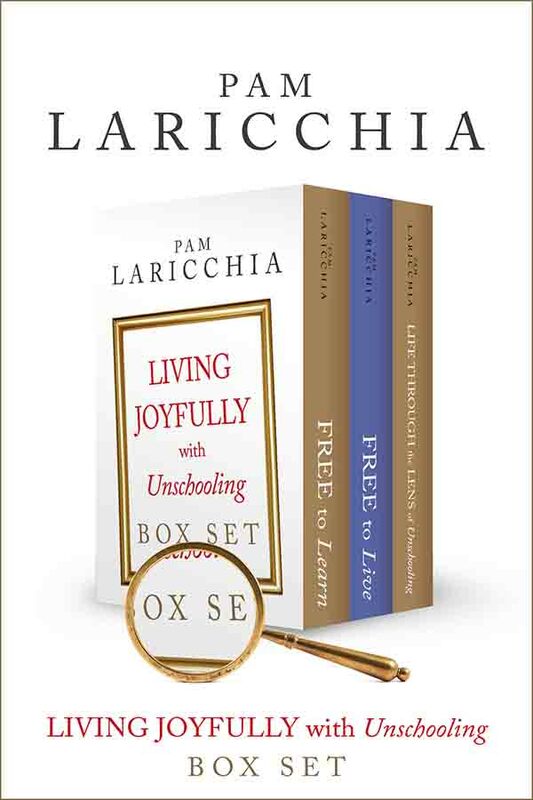 I’m Pam Laricchia from livingjoyfully.ca and today I’m here with Tatiana Plechenko. Hi, Tatiana! TATIANA: Sure. We are a family four. My husband and I, we immigrated to Canada both with our own families, him with his mom and me with my parents and brother when we were teens. Soon after we immigrated we met each other and have been together ever since. For almost 20 years now. TATIANA: We went to university together here in Ottawa Carleton U. We later traveled together after we graduated and settled down here in Ottawa and had kids. Valerie is our firstborn daughter and she is ten and Daniel is our son and he is eight. We have two cats they just went out, so you will not see them. They are a big part of our lives too with their own unique personalities. One of our cats actually goes every day and visit this elderly lady who has Alzheimer’s. She is being looked after by her husband. He comes back home every night. PAM: Oh. that is so sweet. TATIANA: I know. She’s super sweet. And, she loves him and she actually recognizes him. She doesn’t always recognize me but she knows him. PAM: Aww. that is awesome. 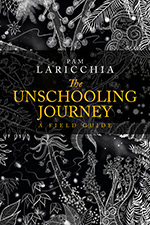 How did you discover unschooling and what did your family’s move unschooling look like? TATIANA: Sure. You were a big part of that, Pam. Before I had kids I imagined myself as a very different parent. I grew up in an environment where order, predictability and higher education were valued a lot. When I was younger—especially a teen—I rebelled hard against those. But when I was expecting my first child I was surprised that in my mind I was conforming to everything I ever rebelled to. I thought I would have this perfect child who would feed on a schedule, who would sleep when it is time to sleep and eat when offered to eat. I will have this perfect, predictable life. I am going to be this perfect mother. So, what happened is that we were blessed with a very strong-willed child. Who would let us know from the very beginning that we have got it all wrong. She would cry inconsolably and definitely not follow any schedule that I was still trying hard to impose on her. So, I just literally threw my baby whispers books away. I distanced myself for a while from family and friends who had a similar mentality. I just started to listen to my child. I started to build trust not only with her but also with myself as a mother. I started to listen to my own voice and we started to attachment parent. At that time, I did not know that there was a term like that. I know that even now I come across on-line people not liking labels. I get it, but at the same time I find them helpful to find like-minded people finding that tribe, finding that support and mentorship. So then we started thinking of another child and before we knew it we were pregnant with another child. We had two kids under the age of two. So our way of raising them was different from everyone’s expectations. And I had very little support or understanding of what we were doing. It was very tough and even though help was offered, that was not the help we needed at that time. And I had no strength to deal with defensive family members. It was easier to just do it all ourselves, even though it was not easy. There was just physical and emotional exhaustion bundled up together. My cup was empty. I knew what kind of parent I wanted to be, but I would find myself just resorting to the old pattern that I was brought up with. And she said, “You know, my mother-in-law picked up this book from the library. 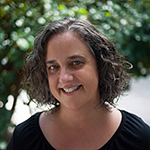 It is called Raising Our Children, Raising Ourselves by Naomi Aldort and I think you might find it very helpful.” So, I got the book and I love that it finally gave me some tools to fill my brand-new empty toolbox. I started making changes, they started to work. 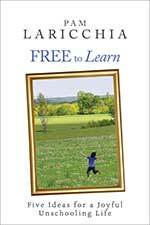 I wanted to learn more because, in her book, Naomi never mentions that she homeschools or unschools. I started listening to her talks on her website. 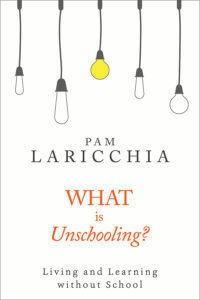 The word unschooling came up—again, another label, right? We made plans to go to that conference in New York. It was a ten-hour drive for us. Before we went both myself an Igor were reading the emails that you would send out then they made a lot of sense to us and we found them very helpful. Attending our first ‘We Shine’ was a crucial turning point for us. It sort of truly sealed the deal because we saw people parent. We found mentors for ourselves. I went to every talk at that conference and I found it very, very helpful. What I realized for myself then, that I needed to do a lot of work on myself. 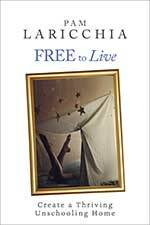 That I needed to establish firmer boundaries in my life and walk the walk that we wanted to create and envisioned for ourselves. For Igor, he has been on board with the philosophy itself. He saw it working for children that week and there was a big shift for him because we were there. It was a campground and we were there Monday to Friday, where that was just the unschooling families. He saw how people treat their kids differently. What kind of relationships they have. But then on Thursday other families were moving in for the weekend. That difference just struck him so much. And he said, you know, he came to me there was no conclusions from him, he was just amazed at the difference. I think that was a turning point for him as well. PAM: Oh wow. That is awesome. That’s right, I had forgotten you guys were at ‘We Shine’ too. TATIANA: For couple of years. Yes. PAM: Yes, yes exactly now I remember. Oh my gosh, I love that story about how Igor was just in the place to see the contrast. That is really interesting. TATIANA: That he did not go to any talks, he did not do any work. That was just that for him. PAM: Wow. That is really interesting. I was curious, just quickly. You know you mentioned you know when Valerie was young and you decided to cocoon for a while, to disconnect from the kind of messages that you did not want to live. You wanted a new way. I was wondering, what was the spark that made you decide this is not working I want to try something different? Do you remember? TATIANA: I think it was just her. Like, it was not working for her. PAM: You wanted to find something that worked for her. TATIANA: That’s it, yes. Like, if my child is not happy being put to bed by herself and you know magically fall asleep. But carrying her in the sling, she does fall asleep. Then I am going to carry her a sling because then she does not cry. So, it was just listening to her. I knew I would not be able to listen to her or to my own voice if I kept listening to messages that were out there. So I just pulled the plug that way. PAM: Oh, that is awesome. TATIANA: That gave me a perspective. TATIANA: She had four kids herself. I think her child, her youngest, was eighteen at that time. PAM: Aww, that is beautiful. I love the story of the herald. I love even the idea of looking back and just kind of processing our journey. Because it helps us understand it better. And I think it helps us understand ourselves better. I still laugh that I feel like my herald was a school principal. PAM: You know that it was at the private school where Joseph was going and he had been there for months. We had a meeting and so this was six months in and she is like, “We have to start looking for his gifts.” He was doing better there than public school. But that was the point where I was like, ‘Oh, if you have to start looking now, this still is not a great environment for him. Where he can shine.’ So, that was my, ‘Okay, I am going to keep looking for another way.’ And that was what led me down that road. It is so fascinating. Anyway, we should probably move on. What was the most challenging area of deschooling for you, and how did you work through that? TATIANA: The most challenging area was to go let go of my expectations of how things are supposed to be. How my kids are supposed to be. And how I am, and my partner, and our relationship is supposed to be. PAM: All the things. But yes, the expectations. TATIANA: Letting go of control and finding the beauty of how things are. You know, how beautiful people are. And I do not need to go around making them any better than they already are. The things that I struggle the most in general, as unschooling goes, is that I struggled with electronics. One of my kids just loved it so much. The thing is that, not only did he love this, the tool to use specifically for his interests but also used it as a relaxation or to get away from over-stimulation. So he would be on it a lot, even when he was much younger. He is eight now. He is actually less on it now than he used to be because he found other ways to cope with situations that he found overwhelming before. So, as long as I struggled, our relationship struggled. I do not think I struggled at the beginning, but I think I started struggling like mid-way. I was faced before a choice to either choose a relationship that was just beautiful and connection or to get stuck in my beliefs and lose that trust that we had built. Because my judgment of his choice, were coming across as judgment of him, it was just a terrible feeling for him to have. He would completely close down and not let me in anymore. And that was not a good feeling for me. So, there was big shift for me. It was when I went to We Shine; to the conference. The description of We Shine was a celebration of unschooling. I always felt I know that was not the case and I could ask those questions but that was my internal process. Where I felt I could not ask questions like that at We Shine. 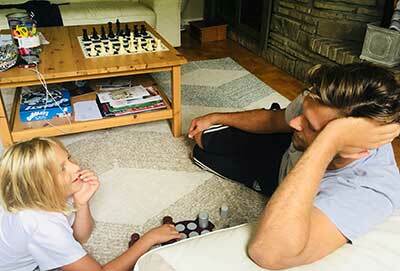 Just because they were not very celebratorial for unschooling I guess, but my doubts. But it was helpful when I went to Childhood Redefined and could actually ask all those questions and get all those answers. So, when I came back from Childhood Redefined. I actually had Facebook send me a reminder today that was exactly two years ago I was at Childhood Redefined, right now. TATIANA: So I came back, I joined him and in his games and his shows. I looked at his is world through his eyes. I decided to let my fears go. I decided to trust that he was going to be okay. You know like, goosebumps, he started talking to me again. He started sharing his world with me again. He welcomed me back with arms wide open as though nothing happened. That was beautiful. PAM: Yes. I think that was, I will jump in because I got goosebumps too. It feels like kind of a leap into the unknown. You said when you came back, you decided, you chose, to just step past the fears. You know, ‘I am going to try this, I am going to join him in his world I am going to see through his eyes, through his perspective, and see what he is loving about this.’ And that he welcomed you back. He wants to share and connect with people; children want to share and connect what they love with the people that they love. So, when we can get past our fears and step in and join them there, it is an incredibly life-changing experiences isn’t it? And, you know, like what you are saying about jumping into that unknown, it is not easy. You know, I would sit and listen to talks at Childhood Redefined and they were inspiring. And we would have group conversations that were also again redefining our perceptions of the world. But then I would still, at lunch, sit with Anna Brown and you know be like, “Anna, just talk me through this, I am not getting it. I feel like I am bumping my head on a wall.” She coached me through it. And that stuck with me. It stuck with me, she showed me how that makes them feel. PAM: That is beautiful. Nicely done, Anna! TATIANA: And it still sits with me. I still remember that. PAM: Yes. I still I remember the food discussions there, while sitting outside. TATIANA: Yes. I did not know how you guys handled that. Some questions were pretty harsh. PAM: But that, to me, is the interesting part. It’s why I love talking to different people on the podcast and the different perspectives. 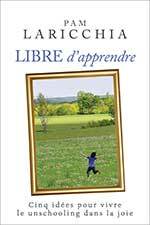 Seeing unschooling through their eyes and how it came to them because it is fascinating. It’s so individual. 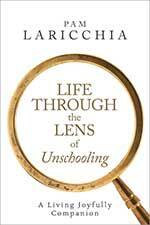 But underneath there are some things that really help us understand how unschooling works. How it flows, how our relationships support it, etc. Just being able to put you in your child’s shoes for a few seconds there, Anna by asking that question, right? That was a light bulb moment for you and it is different for all sorts of people. You know, what will be that connecting point. I love, love, love, that that is one of the things that has always struck me about you. Over the years, you have still always come back. You still kept asking your questions. You still wanted to know. I absolutely loved that. I will keep trying to answer and keep trying to say it in different ways. Maybe bring in different examples, you know different questions to ask yourself to help you find out what your light bulb moment is. What will connect with you to help make things make sense? We got into why I love doing this and I love that you shared that story about that light bulb moment because that might be it for someone, you know to figure out a way to put themselves in their child’s shoes. To me that ability kind of comes along with the understanding that it is another level of understanding that adults and children are all people. That it is totally valuable for us to put ourselves in their shoes and that what they see and feel in a moment and understand from a moment, is completely as valid and valuable as what we see in that moment. They are just another person in it, right? TATIANA: I think like what you are saying about the “aha moments” is that people can tell you what it is like or what it is and you might not and be like yes okay, but I kind of get it. But I think until you have that moment where you do get it clearly, when you see it clearly, only then your perception changes. PAM: Yes. I think that is why I encourage people to keep learning. And I encourage people, if you have read things that made sense to you, to revisit those things six months later, a year later, two years later. Because you are bringing a different perspective to them, you will get different things out of them. You will have different aha moments. Like when you and Igor were first reading the emails. But if you go back and read that now, you will see different things. It will connect with you more deeply because now you have some experiences to tie with it. Now you had those experiences with your son, and you can get more depth out if it, I think. Anyway it’s fascinating, that’s one of the things I love about deschooling and why we talk about how it takes time. It is not that first, you know, ‘Read through, understanding it, this makes sense, this makes sense, this makes sense, off we go.’ It really is so much about peeling our own layers back and really getting to that. TATIANA: It is those layers, right? Like there is so many layers and I think at the heart of it like the biggest, biggest aha in general at the heart of deschooling for me was how it is healing. It is actually healing. It is our own healing journey. And that it is all about me. It is ME who needs to heal. It is ME who needs to make those changes. Everybody else around me is fine—it’s me. And once I heal myself, only then my perception can change and I will just see differently. I will not be triggered. It is my issues need to be peeled and need to go. But I think like the challenges along the way is that process triggers us. Is that we get defensive. You know, I went to We Shine two years in a row and I did not come back for a couple of years because I would get that triggered. I would get that defensive. But I think that defensiveness is from not doing the work. Like, if we actually commit to the work and we keep on doing it, then we keep on wanting to change then I think maybe that defensiveness can be avoided and years would not be lost along the way. PAM: I think that is part of our journey too. But you are a thousand percent right, that these things trigger us. There are things that do that. It is really hard but to say you know to understand those things that are triggering us are really where our next big chunk of work is to do, right? PAM: I still remember Ryan Holiday’s book, The Obstacle is the Way. the thing that you want to avoid, is really what is going to give you a huge growth spurt when you dive into it. When you are ready to dive into it. I do not want to come across as beating people up, I mean, if you need that space before you have the energy to do it. You need that time. But to understand that what we are most reacting to, most defensive about, there you used that word that is right. What we are feeling most defensive about and what we are most pushing away, if we can remember that that is probably a clue as to where we might want to start digging. I think that that can be helpful for people. TATIANA: Yes and I also find that that space of defensiveness is space of victimhood. We can get stuck in that victimhood for a very long time. That almost gives us an identity and then in almost like feels good, even though it does not. We justify our choices and our decisions on how we want to be. But if we can let that victimhood go faster and not get stuck in that vortex of that defensiveness then we can come out of it earlier. And come out as a warrior and owning our story. I think that defensiveness comes a lot from our own guilt or the feeling of inadequacy of what we have done before. So I think it is forgiving ourselves and moving forward. PAM: Yes. Back to that it is all about me. PAM: Right, because it really is. I love that. That is the name of one of Anna’s talks in Childhood Redefined. Because it is really true. It ties right back into the beginning when you were talking about expectations being the most challenging area, right? Because the expectations are us projecting onto other people. But, really when you get to the point where you understand that they all have their own choices and they are wonderful, and they are their journeys to take; their lives to live, not me to control. I can control me and then that is where you get to that point that you realize, oh you know all this work is mine to do, all these layers are mine to peel back. And you are right, when you are stuck in one of those layers you are seeing everything around you through that lens. Like you said that the story you are telling yourself to justify keeping that layer. Right? PAM: That is brilliant, thank you. TATIANA: The more layers we peel the clearer the lens becomes and the clearer we can see the world. There is a little story, it is more of a joke and you have probably know it. It is like a woman keeps complaining to her husband that like she is looking through the window and she keeps complaining that her neighbor’s laundry is very dirty. And she keeps on hanging that dirty laundry to dry. Day after day she keeps telling him this. So the husband went and cleaned her window. It was not the laundry it was her window. That is kind of how deschooling works too, you know. PAM: Yes. How we judge other people around us because we are seeing it through our lens. That is brilliant. You mentioned some about Igor’s journey and you mentioned one of the aha moments that he had. I just wondered if there was any more stories or anything you would like to share around his journey. You know whether, how new this was for him, how challenging, maybe what helped, how you helped him move through it. PAM: From what. Awe sweet. I can share from my perspective. TATIANA: I do not know how it was for him. I think we walk together. We have been together for so long and we always just walk together. As I was learning new bits and pieces and things that really struck me, I would you know run to him excitedly and share it with him. He would always say that it makes sense to him. At the very beginning when I would get scared and I would share with him that I am scared and what we are doing is like really crazy and he would meet me right there in my fear and reaffirm that it truly is crazy and we probably should stop doing it, you know. We would take one step forward, two steps back. But what is interesting about that is that he does not need to live his life through his kids. He does not have that complex that he did not accomplish something and now he has to push his kids hard to somehow validate his own ego in anyway. So that is good that way. He has taught himself many things so he knows how unschooling works. Both him and I were good students when we were in school and we got really disillusioned with the whole system. Not just school, many systems—like, whatever system. Yes so that is kind of his journey and he is the kind of guy, he just loves spending time with the kids. He always has energy to play with them. He is silly with them. He loves to mentor them in a very loving and patient way. He just brings so much joy into their lives. We are very lucky to have him. PAM: That is very sweet. I love that. I love your observation about bringing our own layer of our own expectations to our children and what we because we can even subtly find ourselves nudging then in directions that will feel satisfying to us. So I love that observation. 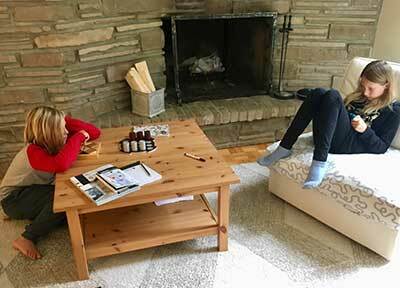 How has your relationship with your children changed since you guys began unschooling? TATIANA: Like I said, before I was trying to you know control how the kids are. Control even my relationship with Igor. I find that after realizing that and sometimes I would get blindsided by an issue and not even realize that the issue is there, or let go of the layer and not realizing that there a bigger layer underneath that that I am not even seeing yet. How letting go of that made his and my relationship so much better and just allowing him to be as a person and make his own decisions and the same with the kids. PAM: It relates well with that story that you told about Daniel too right, you chose to join him. How much more connected your relationship became at that point. Certainly around that, and I imagine that kind of opened up since that was a huge interest for him. TATIANA: Yes. I think that I am just able to be more present and more with them and more focused truly on their interests and not how to provide more information for that interest for them to learn something but because they just want that information because that would feed their joy. And it is joyous to me to see their joy. TATIANA: That is it. It is for all of them. It is for Valerie, it is for Daniel, it is for Igor. I mean, yes you want to do this. So he joined. He is now on the board of directors. He has so much fun with this group of people and that is his joy. PAM: I love, love, love that observation—you can join, this is community theater–and that your daughter is doing it, right? 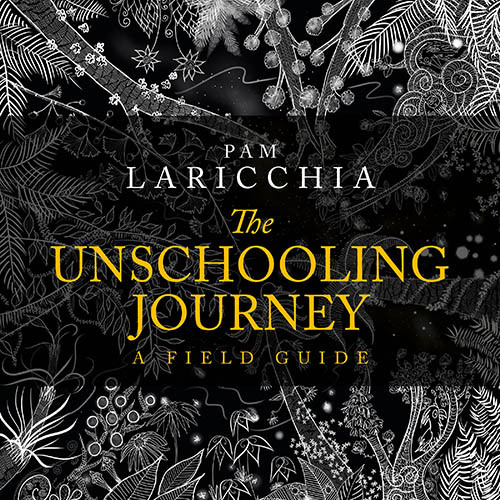 I love so much when we talk about unschooling is living in the world now. That is one of the ways you describe it. School is preparing them to live in the real world and we are just choosing to live in the real world now and learn along the way as we are doing it. There are so many opportunities out there within the community that so often before we do not even consider. Because we are busy with our kids and kids are supposed to “do school” and “do their extracurricular activities,” that are geared just for them. But when you step away from that and just look for opportunities to engage with the community, there is all sorts of interests. I know sometimes I you know would take the kids to things and they were not expecting to have children come of their own choice and show up. But so often they were very welcoming because it is a shared interest–something that they are interested in learning about. A curious person no matter their age who wants to learn more about something that they are already there because they are passionate about the interest right, you know theater as an example. It really does not matter and there are so many opportunities there for our kids to engage with other show share the same kinds of interests. I love that Igor and Valerie are both there. TATIANA: Well, Valerie was not sure at the beginning that she would want him there. Because Valerie is the only extrovert in our family and she always looks for ways to connect with people and to do her own thing. I think theater was giving her that space where she would go like on a Sunday and be there for five hours and go with her girlfriends to a vending machine and run around and get in trouble and, you know, giggle it off. She was having fun with that. And then when Igor was going to join she was not sure if she would want a dad there but then he joined anyway. Because he wanted to do it. And she found that it was helpful sometimes having him there. Like, if she gets tired she can lay down her head on him or just he was never intrusive in what she wanted to do. He is very respectful of her space. I think she got what she wanted out of it in terms of freedom. Like, she is not looking for it anymore. It is not, “Oh five hours at theater! Yay!” anymore. It’s, “Oh, five hours to be there.” It’s more like she is getting more theater out of it then the freedom that she wanted before. PAM: Yes. Isn’t that so fun to watch their journey. TATIANA: I think because we also relaxed around issues that we had. PAM: Yes. It is all connected isn’t it? PAM: Yes. It really, really is. So what has surprised you most about your journey so far? 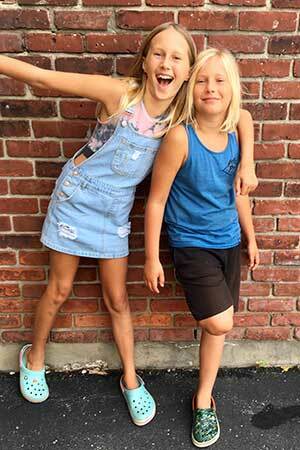 TATIANA: What surprised me most was how much joy there is in being in my kid’s company. In helping them along in whatever need help with. In preparing yummy food for them. In creating the environment that everybody wants to be in. It is interesting that that environment that I am creating for my family then a lot of people love to visit and just to be in the space that we create. TATIANA: Yes. But it is truly surprising what a gift it is to share this life together. I think this life can be that joyous only after you have let go of all those issues. When you are not trying to control them. When you are just there in partnership to have fun together and just enjoy the life together. PAM: Yes. That is such a great point. When you get to that. Like we were talking about earlier even in relationships. When you get to the point where you are equals. You are all human beings and you can connect with them. There is joy and fun. You are being with another person, it does not matter what their age is. You can connect and engage and have fun together. TATIANA: That is it. Yes. I think there was also some times when I would get stuck with, ‘What about me? What about me and my interests and what am I doing with my life?’ But I think that the equilibrium is really to work taking care of the kids when the kids are much younger; because there is that physical aspect of mothering. But as they get older, I find that me and my interests get very intertwined with our days and the flow of our days. Everything, everybody gets taken care of. PAM: I love that observation. 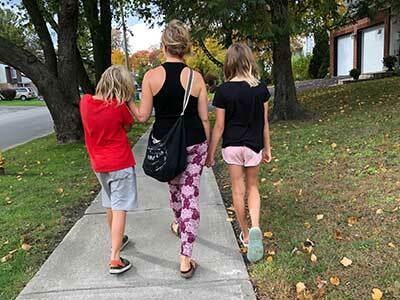 It is so true when you have younger kids it is a lot of hands on physical help, you know you are getting food and you are taking them here and there and you have to help them get coats on and boots on—especially in Ottawa. So it is a huge revelation when you understand that when you start to notice that as you say, your interest just comes up because you are having conversations with them. You are doing, just hanging out together. The things we like naturally come up because they are often the examples we reach to when we are in a conversation. Oh you know, I had that happen when I was doing XYZ, or whatever. Like you said, it is so beautiful how the stuff that we love intertwines with our life. As they get older we are having more conversations like that. We have a little bit more space to do things. Maybe we are, whether it is art we are drawing or crafting or reading or whatever and they come and room and they see what you are doing and they share a little update. It is really fun. That is such a cool observation. PAM: Right. Absolutely. Our lives can flow together so well. I think that is another big step, another layer, is opening up. Not thinking about our “adult stuff” and “kid stuff.” That is not it. It is OUR stuff, the things we are all as individuals interested in. It is amazing the connections and just the support and information that our kids can bring because they are awesome. TATIANA: It is that support. It is so nice to have that support and have somebody truly care, right? It is, “Oh, you want to do this? Yes, well, this is how you do it.” And I really, really felt that recently like another aha for me, the kids went to a birthday party. We dropped them off Igor and I. Then Igor and I went for a walk—we have this beautiful botanical park. We went for a walk and we came across a lake with beavers. We could just stand there and watch them. They came so close, they were swimming around and we were like taking pictures, close up pictures. It was so beautiful. On the way back, I was walking and it was a narrow path and I was walking in the front and Igor was walking in the back. I was saying, “What do they eat?” Igor was like, “Siri, what do beavers eat?” And then Siri would tell us. I was like, “Do they hibernate?” And he would look it up. He just kept looking up all my questions. I felt like so nice that somebody actually took time to answer my questions and I knew more. I was truly curious. And I thought, ‘Well, that is what I should be doing for my kids.’ Not, “I do not know,” or, “I will look it up later.” Actually, look it up. I do, but I felt it. That aha, that I felt. PAM: Yes, like you were in their shoes again. Back to the Anna story, right? That feeling of having your questions be treated as valuable. TATIANA: Like being seen, right? PAM: Being seen. Yes. That is beautiful. Now our last question, what is your favorite thing about your unschooling days right now? I was thinking recently that I am really enjoying my kids at the moment. I always enjoy them but, I just really, really like it right now. I do not know if it is going to change or if it is always going to be like that, like it is right now. The kids are ten and eight at the moment. They are still so innocent but at the same time mature enough to have in depth conversations that weave from one subject to the next. They are mentally stimulating conversations that everybody is enjoying. I like waking up together and chatting about the dreams that we had the night before. I love when we have slow days at home. The activities that the kids have at the moment are also the ones that they truly, truly wanted and that they truly, truly enjoy. Then when they enjoy them so much, it brings me joy watching them. That is kind of it. I do not know if you wanted to know any specifics. PAM: Oh, no, no, no, I love that. It is like you are really enjoying your connection and your relationship and just how you guys are being together. PAM: Yes. That is beautiful. That kind of relates back, you were talking about how when they are younger it is more hands on. It is more physical stuff but then as they get older it is so much more about because they can take care of a lot of the self-care stuff, and now it is more about conversations and connections and observation and support and just engaging with each other more mentally rather than physically, right? And we did at the end of August, we called out to people who wanted to come. The same group of people comes once a week now for two and a half months. At the beginning, the kids were unsure and they were not talking but it was not as close. On Tuesday, this Tuesday I think, that we were there they saw kid who played in little groups and a couple here and a couple there and just chatting away. Really enjoying each other and those relationships are growing. It is just so nice to see and observe. PAM: Oh, wow that is a great example. Yes. That is another great example too of you know just creating an environment. Like you talked about in the beginning how you loved creating your environment at home and it is just let us create an opportunity and see what comes of it, right? And if nothing really came of it, you would try something else. It is just exploring. It is kind of the flow we get into is it not, as we are trying to create or connect or find the things that we think we are wanting, right? He was wanting to connect with some other kids around the scooters and you created an opportunity to see what would come of it. That is a really great approach. Thank you, thank you very much for letting your mom speak to me today. 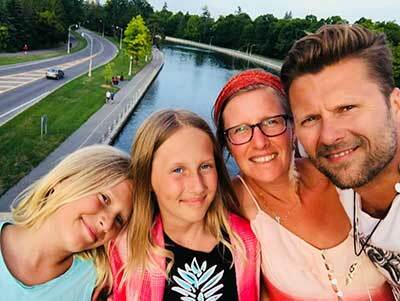 I had a lot of fun, Tatiana, thanks so much for sharing so many great insights about your deschooling journey. It was awesome to hear them. I know you have got a new project going on now too and can you share with people where they can connect with you on-line and find you there? TATIANA: Yes, sure. I am most present on Facebook as Tatiana Plechenko. I created a blog that is very new, a baby blog, I have only two quotes there. It is SoulfulConnections.ca, it also has a presence on Facebook there is a page SoulfulConnections. Those are the best ways to find me. PAM: That is awesome. I will put those links in the show notes. And thanks so much Tatiana, I really appreciate you spending time with me. Bye! TATIANA: Thank you so much, Pam. Bye.